Web traffic is the soul for a blog. Traffic means the flow of visitors to a blog. As an internet user you visit many sites or blogs in a day. 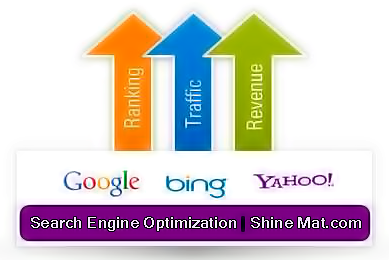 When you need to get anything’s information you must write a keyword in Google/ Yahoo/ Bing etc. and hit Enter. Then search engine present you some quality website list relevant with your keyword. Then you visit these sites to reading or do something. Same as you billions of people daily make search with different keywords and several same as yours. When search engines and other sites refer your site as landing page that means you are getting traffic. In simple word, Web traffic is your overall blog visitors. Why You Need To Get Targeted Web Traffic? Which points should be consider to get well traffic? Peoples like beautiful. A good designed blog can attract people easily. If you design your blog with great colors, font, images, videos and backgrounds I assure you that your blog must attract your visitor’s eye. They will visit your site again to read your updates. If you are a blogger then select a cute template from huge collection of free templates or hire a web designer if you want to run a custom website. It is the prime and important part to get web traffic. No one will visit your blog again and again if you do not update your blog with quality posts. Remember, Content is the king in SEO. So, to get better traffic write genuine contents. Google loves unique contents. Why Frequently Post Publishing Is Very Important? Search engine optimization is the foremost technique to get index and faster crawl by search engine bots. You have to apply some basic methods to familiar with major search engines. Such as: Meta tags, keyword research etc. ■ Read our SEO category to learn SEO techniques. Backlinks is link from other websites or blogs to your blog. It’s an effective way to generate traffic. For further details please read my previous post about how to create backlinks. As I said before an attractive blog design easily catch your visitor’s concentrate. Think as a visitor of a good designed blog. I am sure you will be visit again and again if a blog have an eye catching design and user friendly interface. So it is necessary to make your blog user friendly and give best interface to hold your visitor more on your blog. Never use hard colors, big size images, ugly interface and don't flood your blog with lots of advertisements. Top Tips To Write SEO Friendly Blog Post Titles. How To Make Blogger Blog Mobile Friendly? Plain texts are so boring to read. Isn’t it? Embedding images can give your visitors some extra impression. Because search engine loves it and also it makes your blog and contents more cute and bore free. But don’t make a fish market with lots of images. Keep in mind when you attach images in your blog post it is fully SEO optimized. Learn more: How to optimize images for search engines? Social media is a popular platform where many people gather. Sites like Facebook, Twitter, Google plus, Linkedin, Pinterest etc. 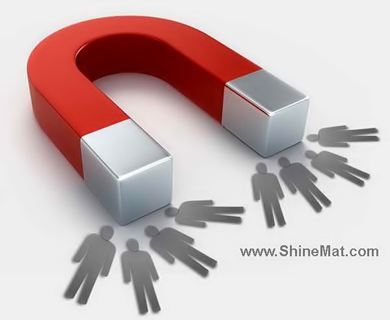 can give you more targeted visitors. It will also increase your backlinks. Share your post link to these sites to generate more traffic. Do social bookmarking to store your links online. When search engine crawl social bookmarking sites it will index your links quickly. Some quality social bookmarking sites are shown at below. That’s all for today pals. Happy Eid Mubarak to all. Have a happy day!